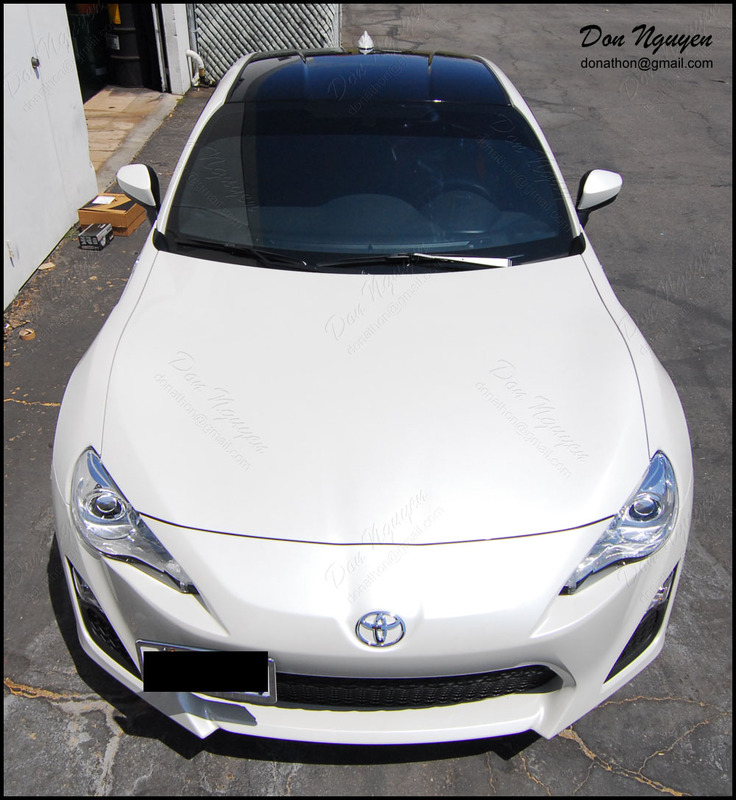 Here is a new white Toyota / Scion FRS that I vinyl wrapped the roof with my gloss black vinyl material. 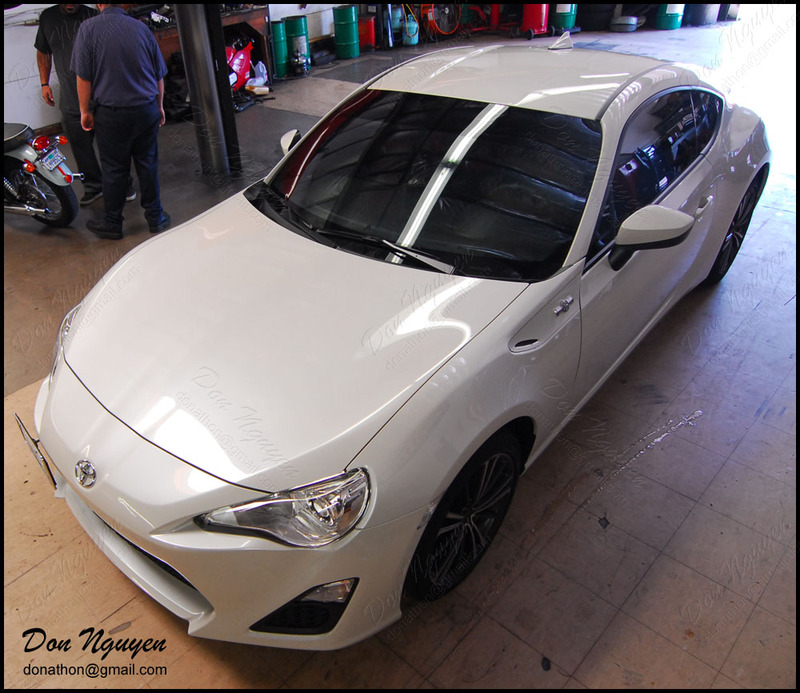 We went with the gloss black finish to give it a factory look. 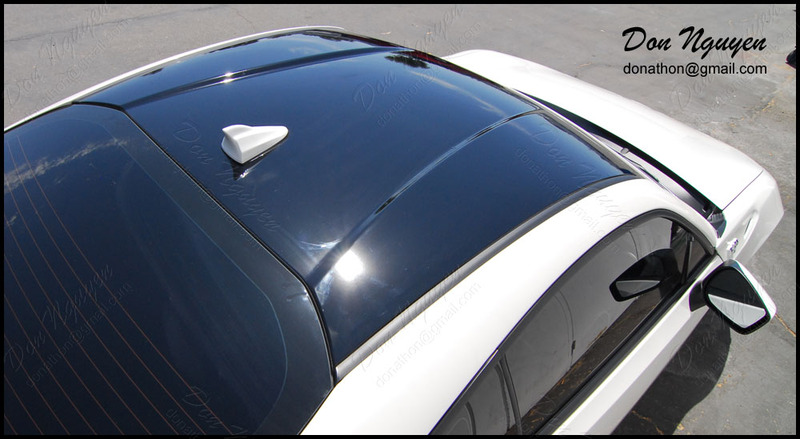 The owner of this car drove out to me in Anaheim Hills / Orange County to get the roof wrapped.